Individual ticket to Dinner in the Stacks. Includes cocktail party, silent auction, and dinner. Did you know thousands of 4 and 5-year-olds get ready for school at Phoenix Public Library's Kindergarten Bootcamp? Have you heard adults are earning their high school diplomas and receiving guidance to achieve their career goals at the Library? What if we told you tweens and teens learn computer coding and how to create 3-D printed models after school at our libraries? Phoenix Public Library is more than a place with books on shelves, every day your neighbors and their families are changing their lives at the Library. We invite you to support these programs by participating in one of the most unique events in Phoenix, Dinner in the Stacks. 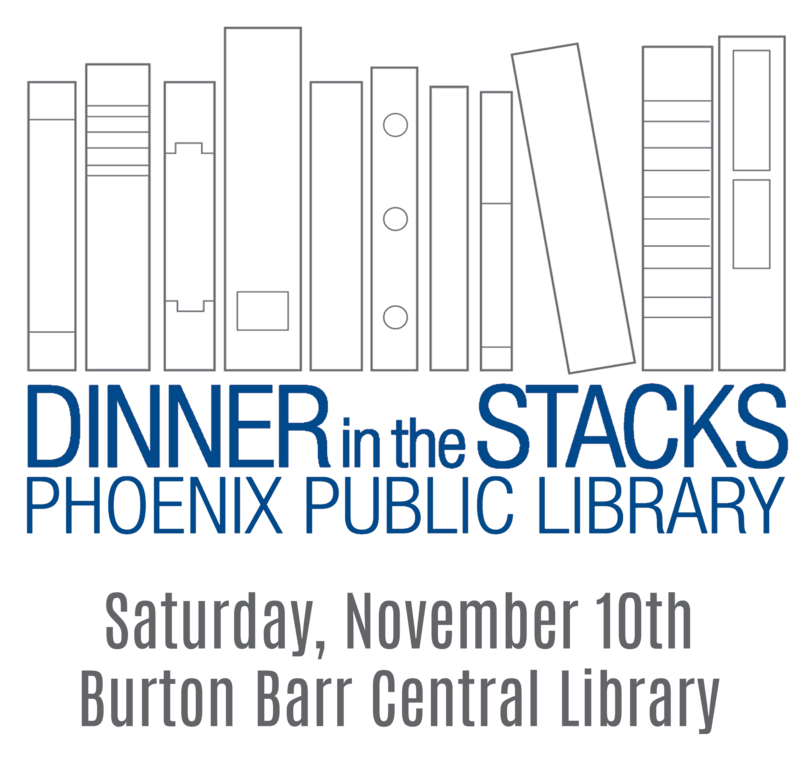 Sponsored by the Phoenix Public Library Foundation, this year's dinner will be held at 6:30 p.m. on Saturday, November 10, 2018, in the newly renovated iconic Burton Barr Central Library. Take part in a rare chance to see the beautiful Burton Barr Central Library in a whole different light, after hours with the city of Phoenix as a night-time backdrop. If you have any questions, please don't hesitate to contact Kelly at 602-262-7939 or kbushong@phoenixlibraryfoundation.org.